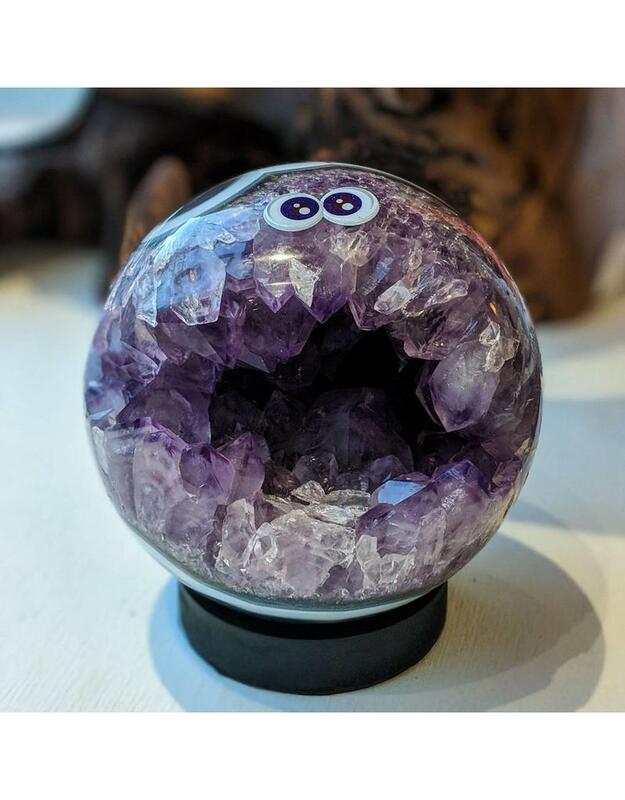 Amethyst is a variety of quartz that is defined by its violet color, which is due to iron atoms in the crystal's atomic structure. 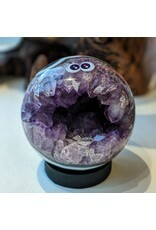 Amethyst from Uruguay tends to be of a deeper darker violet, and occurs in vugs, which are holes in basalt (cooled lava) where gases were trapped when the lava was cooling. This sphere was found in such a vug, and then ground and polished into its current shape. It's 138mm in diameter and weighs 3.10kg. Googly eyes come standard on this one.